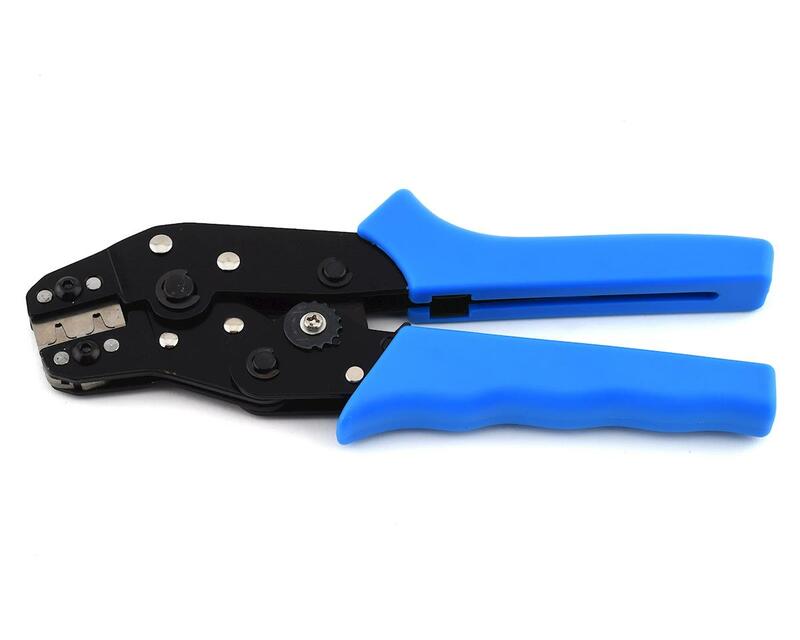 I dont know why everyone is so down on this crimp tool? It took some experimenting and a little trial/error to figure it out, but after a couple of tries, I learned how to use the crimper properly. The tip has a step in it that is there for a reason...guys who are grinding it down so the tip is all the same level are ruining the tool. The larger gap opening is to secure the wrap around the shielded part of the wire, the smaller gap opening squeezes the two tabs down that hold the unshielded wire and hold the wire to the pin, making the electrical connection. On some pins, this can be done in one squeeze, others require re-positioning and a little squeeze to shape the back of the pin where it wraps the shielding so it fits into the plug. Once I do that, I give it a soft squeeze with the cutter to put an extra little crimp in the tabs. I have shortened up servo and switch leads, made custom length extensions and wired plugs onto my rock crawler light bars. Never had a problem with any wires coming loose, and in this application works better than solder. Spend a little time with it and learn how to use the tool and it works as good as any other crimper out there. If anything its better, because it does so many different parts of the job (cutting, stripping, crimping). I give it 5 stars for the price, functionality and durability. I just practiced using it with some spare servo connectors and heavy duty servo wire. It crimped the connectors to the wires very well. I ohmed it out with my meter, no resistance measured. I did three sets, it worked very well each time. For the amount that I will use it, I am very happy with the results. I certainly did not want to pay $100+ for something I would barely use. I did it exactly as explained in the video. I then placed a couple of drops of the Heli Dry Fluid Extreme into the crimping notch and let it dry. That made it feel a little smoother when crimping but the outcome was just the same. Well crimped wire, and no resistance in connection. I see nothing wrong with this tool. It works fine for the job once you learn how to use it. Well built. Not really sure why there are so many negatives on this. I used it to shorten wires on 3 cars to clean up wiring for servos, esc's, transponders, and capacitors. 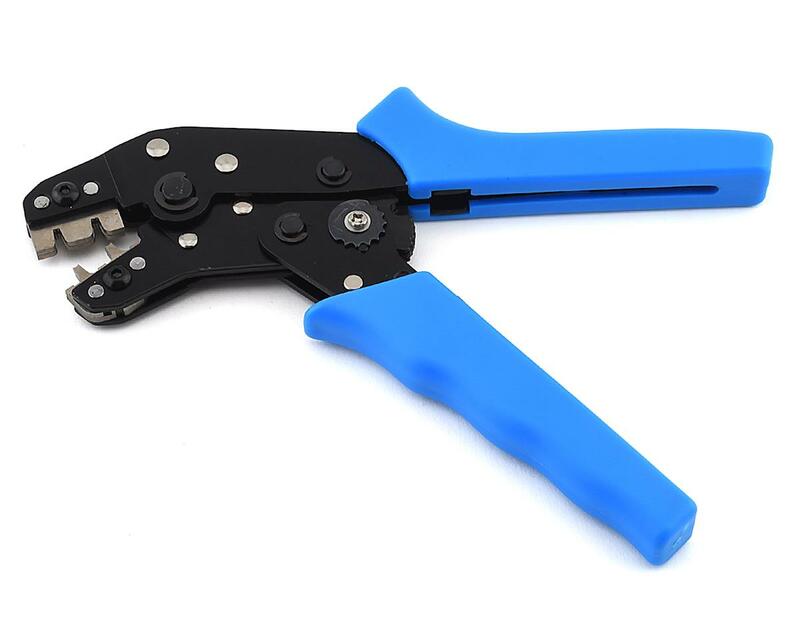 It worked absolutely perfectly, crimps are nice and tight, and it's fairly easy to use. Definitely worth the 20 bucks. Have to agree this is horrible. Protek i suggest pulling this from your product line and finding another crimper. I got mine to work okay however I had to take to it with a grinder. Did you guys even test this thing before you packaged it up and sold it. This tool is in no ways reflection of all your other RC products which are high quality. Like I have seen in a few other reviews, this will not crimp enough to hold the wire. I am having to manually crimp connections after using the crimper to get them small enough to bite and hold. I can see it is the cutter on handle part preventing the crimp area from closing small enough. Have thought about filing this cutting area down a bit to allow crimp area to go smaller. Seen in another review this was done as well. Ehhhh for the price and a bit of a mod it works. I have to confirm the negative reviews on this tool. After ten attempts, I can get better results using my multitool to just smash-crimp so I'm not wasting any more connectors trying. Not only does it not crimp properly, not enough to even hold a wire, but nothing about it is appealing. Workmanship is crap..rivets are crap..paint is crap..the stripper holes aren't round so they're as useless as the crimp. There's even a little rust thrown in. Should be pulled from stock and no longer sold. I can't imagine one NOT being returned and I have NO idea how it it's achieved three stars. Does not work properly. Recommend using different tool. I bought this because I hate having too much wire in my cars to get in the way. I must say the best part of this tool is the stripping part. As for the crimping part. I thought it did a great job until I tried my buddies real crimper. I noticed as hard as I tried to take my time and align everything it wouldn’t come out looking like the factory crimps. It produced a more flattened crushed look than Curled over gripping look. Well one of my connections wasn’t great and a buddy helped me at the track who had a real crimper “all be it it doesnt have a cutter or stripper built in” it easily squeezed the most perfect factory crimp. I’m going to keep it in my pit hauler for desperate measures along with my crappy traveling soldering iron but you best believe I’m going out and getting that tool my buddy had. Works ok . I needed to grind down at cutter flat spot/ stop to let you crimp down more wasn't much this let the tool close a little more and work better with thinner servo wires as some are thinner than others. Not the best but ok for the cost with a little work can make it a so so crimper that will do a good crimp. The down fall Is it hard to hold untill you learn what to do and mite need grinding to make it crimp as tight as needed.. Terrible waste of money. Will not crimp or strip. Lesson learned. Either this is the worst crimping tool I have ever used or it is simply not designed for small-scale work such as servo leads. Would not recommend. This does not work for Servo Leads at all. This will only do terminal crimps. Do not buy if you are wanting to replace your servo leads it will not work. Just wasted 20 bucks, every Protech product I have bought has been top notch but this thing is junk. I probably could make it work but would have to use a grinder.